Federal High Court, Calabar, on Monday ordered the NWC of the All Progressives Congress (APC) to submit the name of the Minister of Niger Delta, Pastor Usani, Uguru Usani, as the authentic governorship candidate of the party in the March 2, election. The court also affirmed the judgement of an Abuja High Court declaring Godwin Etim John as the authentic state Chairman of the party. 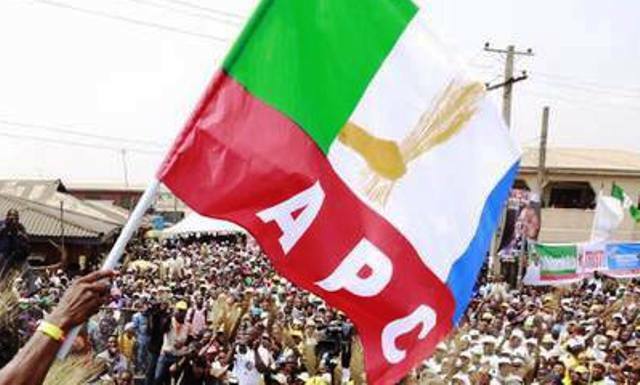 The court also ordered the NWC of APC to forward the list of candidates as submitted by Godwin Etim John to the Independent National Electoral Commission (INEC). An Abuja High Court presided over by Justice A.O. Musa, had on December 13, 2018, declared Godwin Etim John as authentic state party Chairman of APC. In a two-hour judgment delivered by Hon Justice Simon A Amobeda, the court ordered that “INEC should only receive and accept the names and candidates for the 2019 elections that emerged from the lawful executive led by Godwin Etim John, which produced Pastor Usani Usani. Amor recalled that the claimant, Pastor Usani, Uguru Usani, had sought an Abuja High Court sitting in Apo, FCT, to declare him the governorship candidate of the APC in the state and his case summarily dismissed by the court presided over by Justice Adeniyi on January 7, 2019, on the grounds that Usani’s case was full of contradictory claims and forgeries. The court further ruled that Usani’s affidavit in support of the originating summons was unreliable just as he (Usani) was not found to be an aspirant and his case not justifiably in tandem with the laws of the country. Justice Adeniyi further ruled that the Etim John’s supervised primary was illegal and contrary to the party’s constitution and guidelines for primaries. The court maintained that the primary which produced Sen. Owan-Enoh as the candidate for the general election (from state Assembly, National Assembly, and governorship) was a Direct Primary conducted by the National Working Committee of the party as stipulated by the party’s constitution, as against the Etim John’s primary conducted by a state faction.